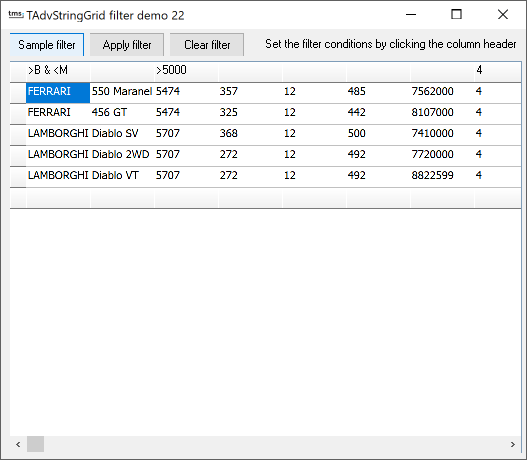 With the new filtering capabilities in TAdvStringGrid, displaying a selection of the grid's data is easier than ever. Two properties are used for filtering. First there is the FilterData property, which is a TCollection of filter conditions for each column and second is the property FilterActive through which filtering is performed when set true.